Can I take a moment to toot my own horn please…. I am beyond excited to find out that Hubby’s sperm analysis was off the charts good! I Give 100% credit to following fertility blogs/research and supplementing accordingly along with excellent diet and adequate excercise! If you’d like a detailed post about how we got his sperm in tip-top shape please write a comment or send me a message!!!! Our Doctor also informed us that my egg quality and quantity is much higher than average as well! We are very hopeful our first IUI will be a success. But it leaves a screaming question: Why can’t we conceive naturally? We have the “unexplained” infertility diagnosis. Hopefully this is a blessing in disguise that they couldn’t find anything major, and our efforts have not been in vain. On paper we look like the picture of fertility. The doctor offered its possible to proceed with laparoscopic surgery for me, to find out exactly if there is any endometriosis/scar tissue problems but she didn’t recommend it. It is an invasive procedure, and she is not convinced that they will find anything. 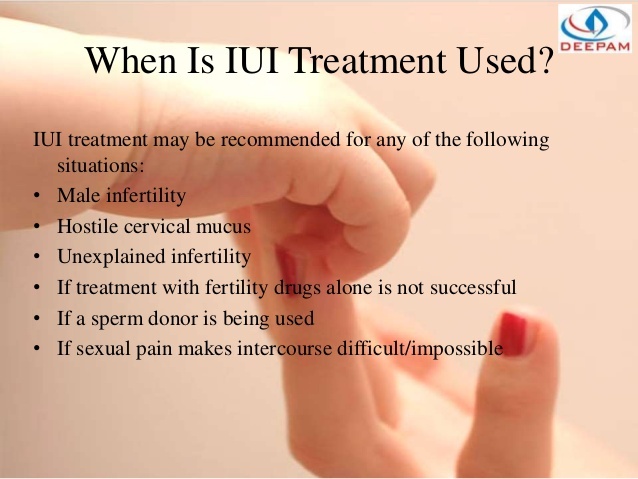 The Dr recommended trying IUI and possibly revisiting surgery later, if the IUIs are unsuccessful. Our doctor recommended using Letrozole on CD 3-7. Her recommendations for Letorozole came with a long explanation of how letrozole is safe, and described an event that tarnished Letrozoles reputation for fertility treatment. Basically she told us that the person that said Letrozole causes birth-defects was unfounded and was not even a published research paper, but was a media sensation. The Dr. let us know that Letrozole usually has less side effects than Clomid, it doesn’t diminish the uterine lining like clomid does/can, and has a higher pregnancy rate than clomid. She let us know there is a risk of twins around 7%. The nurse gave me detailed instructions on the IUI protocol. I started my period 2 days later, Gave our nurse a call and she sent the RX to the pharmacy in town. It only cost me $2.94! I start the drugs this sunday, I’ll be taking 1 .25mg tablet once per day for 5 days (CD 3-7), On day 10 I will have blood work and an ultra sound. This will land on a Sunday so I’ll have to drive to the farther away office: 82 miles round trip. On CD 10 I’ll also start OPK’s in the evening. I have been using OPKs for months now so I’m experienced with taking and reading them. The office recommended the expensive digital smiley one, but I’m going to stick with my cheapies. I usually get a positive on CD 14, but I’ll be curious to see if the meds make me ovulate sooner. I’m really hoping that I’ll be able to do my IUI on my regular day off, so I don’t have to call out of work! I can’t begin to explain how overly happy and excited I am to do this! After 3+ years of TTC naturally and being let down over and over and over, I have a renewing of hope. Wasn’t it Einstein that said “Insanity is doing something over and over and expecting a different outcome” ? I told my sisters, but no one else knows (except readers which right now I have like zero) . I have told a few friends were going to start “trying” now, leaving out the fact that I’m trying the hard stuff now lol. I plan to update on CD 8, CD 10, IUI day, Somewhere in the TWW, and 14 DPIUI. Stay strong ladies! Cut that caffeine, ditch the alcohol, eat your superfoods, take your meds and supplements, keep up with exercise, do your self-care!!!!!! Our baby spirit is getting ready to enter our lives.